>> Rodan and Fields Lash Boost Review: Does It Work? Rodan and Fields Lash Boost Review: Does It Work? Started by dermatologists and fueled by entrepreneurs, Rodan + Fields is a skincare company also dedicated to giving back to the world. So right from the get go, they separate themselves from the oodles of here-today, gone-tomorrow lash serum companies that populate Amazon. To add to the company’s prestige, their Lash Boost serum gets a lot of good press. But at $150 per tube, is this lash serum worth its steep price tag? Let’s dive in. Does Rodan and Fields Lash Boost Work? Let’s get straight into it and start with the positives. One thing we already like about Rodan + Fields and their lash serum is how detailed they are on their site about the product. From FAQs to application instructions, it seems they care about both their products and their customers. 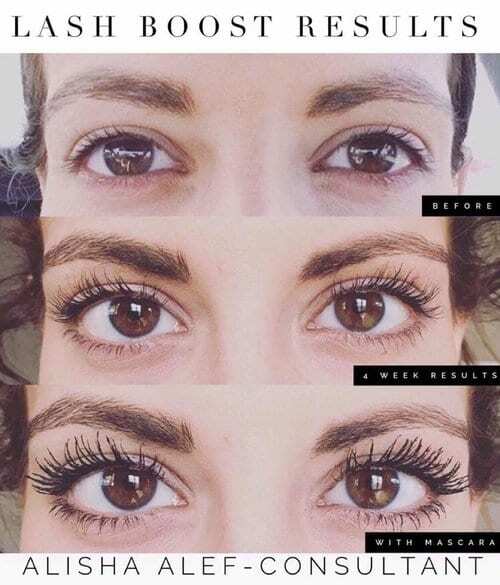 Let’s see what they say: “Rodan + Fields Lash Boost works to condition and enhance lashes, promising improvements in the volume and length of your lashes in four weeks, with best results after eight weeks.” This, they claim, is backed by a clinical and consumer study. According to the study, about half of the participants in the study saw darker lashes, so if you’re looking for a lash serum that specifically works to give you dark lashes, this product could be it. How it works (to darken the lashes) is the main reason why we approve of this product. You see, this lash growth serum is full of lash-nourishing stuff like Keratin and Biotin and peptides – all of which are great for protecting and strengthening the lashes. But let’s face it – these natural ingredients aren’t going to give you the dramatically longer, thicker and darker lashes you long for. That’s where another little ingredient comes in: Isopropyl Cloprostenate. If you’re familiar with eyelash growth serums, you may recognize this ingredient as a lash-growing prostaglandin analogue, like the sort that’s usually found in Latisse. 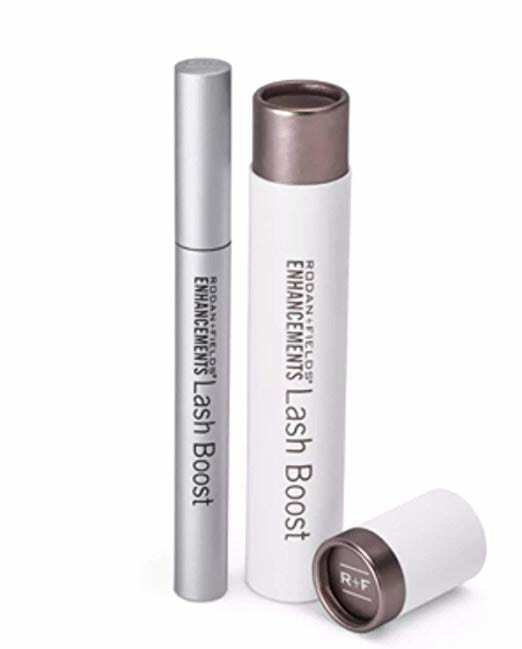 It’s listed as the fifth ingredient in Rodan + Fields Lash Boost serum, meaning these tubes contain a potent enough dose of the magic ingredient that makes eyelashes grow like weeds. Another side effect, of course, of prostaglandins like Isopropyl Cloprostenate is that they can darken eye color (and eyelash color). This may be good news for you if you’re already a dark-eyed beauty with blonde lashes you’d like to darken but it’s not worth the risk if you’ve got light-colored eyes. So keep that in mind. So let’s get back to the main question: Does Rodan and Fields Lash Boost work? The answer is that nothing works for everyone but yes, this lash serum is one of the more effective lash serums on the market. It is more likely to improve the volume of your lashes first and the length second, with 90% of the study paticiants seeing fuller lashes and 85% seeing longer lashes. Overall, we see the volume improvements of Rodan + Fields Lash Boost as a huge plus. 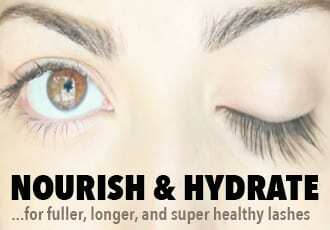 Most eyelash serums and enhancers work primarily to add to lash length. 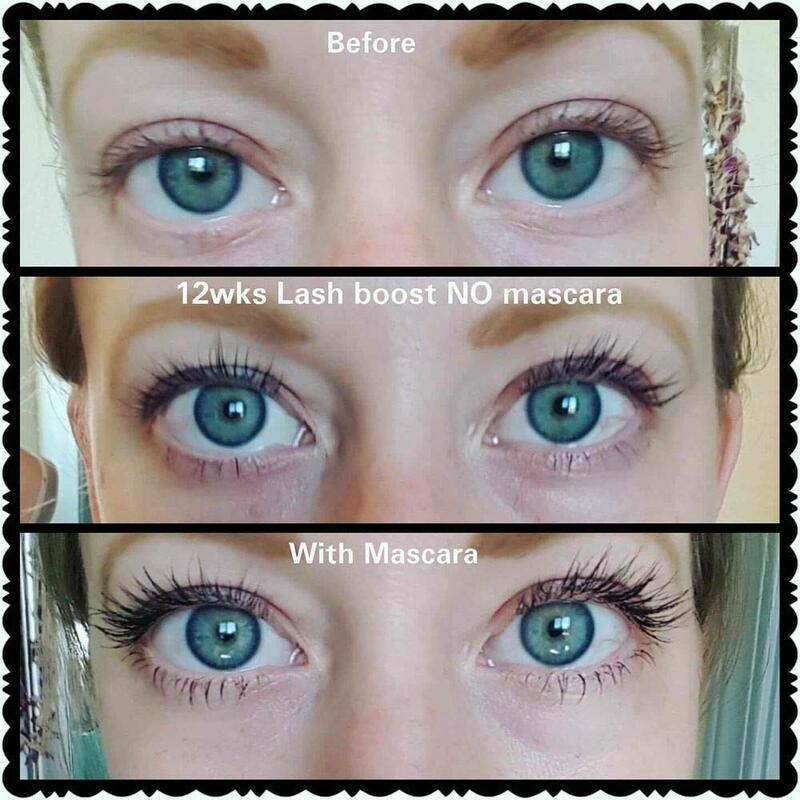 While Rodan + Fields Lash Boost can have that effect, the fact that it works primarily to improve lash volume makes it stand out from other products. Is Rodan and Fields Lash Boost Worth It? Sure, the product works but is it worth it? After all, there are tons of eyelash growth serums on the market and several of them are just as effective…so why would you choose Rodan + Fields Lash Boost? Here’s a few things to consider in making your decision! Who can wear it? You can use the serum if you wear contacts, have tinted lashes or brows, or if you have tattooed eyeliner. Rodan + Fields says, though, that you cannot use this product if you have lash extensions since it is formulated for use on natural lashes only. How often? They are very clear that you should only use Rodan + Fields Lash Boost once a day, as multiple applications per day can lead to irritation. According to the FAQ, the serum shouldn’t be used on the lower lash line for the same reason. Also keep in mind that one of the side effects of prostaglandin analogues is that it can slightly darken the places where the liquid touches so be very careful about getting it only on your top lash line. Allergy precautions. The most important thing to know about Rodan + Fields Lash Boost is that it contains almond extract, so if you have an allergy to nuts, you should stay away from this product. Rodan + Fields does list this information on their website, though, so it’s clear they aren’t trying to hide anything about their product. The cost. While we do recommend Rodan + Fields Lash Boost, we should mention it isn’t for those on a budget. 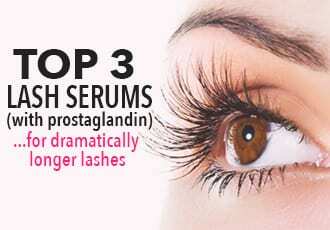 With a price tag of about $150 per 5 mL (or .17 OZ), it ranks as one of the most expensive lash serums. A bottle will last about two months, and Rodan + Fields recommends getting rid of the product three months after opening, which is a pretty good shelf life as far as lash serums are concerned. Counterfeits are possible. Be careful where you buy since this serum, in accordance with Rodan + Field’s policy, may not be sold through Amazon. They work with independent consultants to sell their products, or you can see Rodan + Fields Lash Boost on their website. As you already know by now, Rodan + Fields Lash Boost scores pretty well in terms of effectiveness. And if we based the review on effectiveness alone, we’d give it a five star review. But then again, this lash serum – as effective as it is – comes with a really steep price tag. At $150 per bottle, it’s about the same price as prescription-strength Latisse! And of course, that gives this lash serum the dubious distinction of being the most expensive eyelash growth serum on the market. Expensive enough, in fact, to turn us off and knock off several stars. After all, when it comes to highly effective lash serums – there are a couple out there that work amazingly well and don’t cost an arm and a leg. Like NutraLuxe MD, which has the same highly effective prostaglandin analogue and only costs a third of Rodan + Fields Lash Boost. Even M2 Beaute Eyelash Activating Serum – which is one of the most effective, most high end lash serums on the market – looks reasonable with its $110 price tag, when compared to Rodan + Fields Lash Boost. The whole price thing matters, after all – not only because some of us are on a budget but also because eyelash growth serums are an ongoing expense. 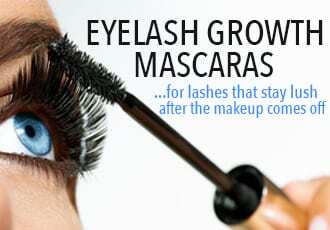 Once you stop using it, your lashes go back to their normal length and nobody needs that. Which is why it’s pretty crucial to find a lash growth serum that hits the sweet spot of high effectiveness and affordable enough to purchase every few months. LashFood Review: Is It Worth It? Marvelash Review: Does It Work? XLash Review: Does This Eyelash Growth Serum Work?